Oh, the things you will see when you take the road less traveled! I love taking the ‘scenic route.’ On a recent trip through New Jersey, it was a delight to drive through Belvidere, New Jersey! 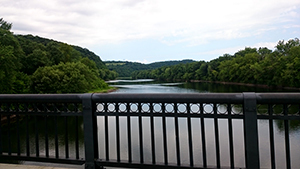 Why take the interstate when there is a bridge over the Delaware River in this historic little town? Tucked away at the Western edge of the state, it is a quiet little town of about 2600 people. A two-lane bridge, first built in 1836 and last built in 1904, connects Belvidere with Riverton, Pennsylvania. A billboard invites you to visit and see their Victorian homes. Alas, we had no time to stop and visit but this little town with the bridge stayed in my memory. I wanted to find out more about the town and its Victorian homes. Incorporated on April 7, 1845, the town’s name means “place having a beautiful view” in Italian and it truly is a very picturesque area. Homes date back to the Colonial period. One of the oldest homes is the Robert Morris House, built by one of the signers of the Declaration of Independence. It has a historic district that works with the Historic Preservation Commission to preserve the architecture of the Historic District of the town. Twice each year the town celebrates its Victorian roots. One event takes place in late spring and coincides with an annual garden tour. The bigger event takes place the weekend after Labor Day. 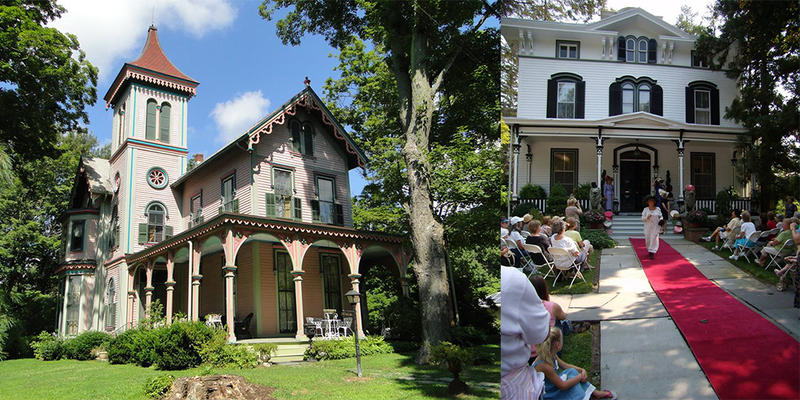 Victorian Days features “house tours, Victorian Teas, antique, craft, and food vendors, carriage rides, cemetery tours, walking tours, live entertainment, an antique/vintage car show, and Victorian era demonstrations.” (Historic District, Belvidere, NJ). 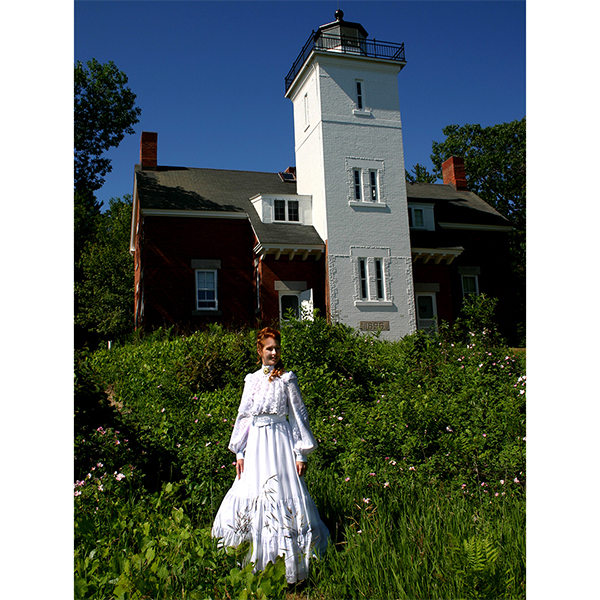 This year’s celebration also includes a cotillion and a plein air art contest and sale. The local cemetery dates to 1834 and is the place where several historical figures are buried. Many were associated with the Civil War. The 2018 celebration runs from Friday evening, September 7 through Sunday afternoon, September 9. It sounds like a lot of fun for the whole family! “Belvidere, New Jersey.” Wikipedia, Wikimedia Foundation, 27 July 2018, en.wikipedia.org/wiki/Belvidere,_New_Jersey. Museum, Blairstown. “Victorian Days.” Belvidere Heritage – Victorian Days – Victorian Days, belvidereheritage.com/victoriandays.html. “Scenic, Wild Delaware River.” Sparta Historical Society Van Kirk Homestead | Scenic, Wild Delaware River, delawareriver.natgeotourism.com/content/belvidere-new-jersey-historic-district/delfe69b2a4c298c7e4d.